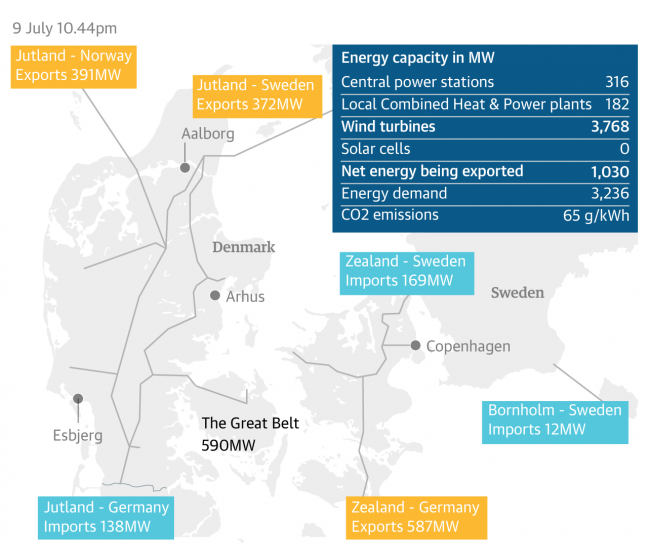 On a particularly windy day (last Thursday), the country of Denmark was able to meet its domestic electricity demand and even export power to Norway, Germany, and Sweden thanks to its wind farms. 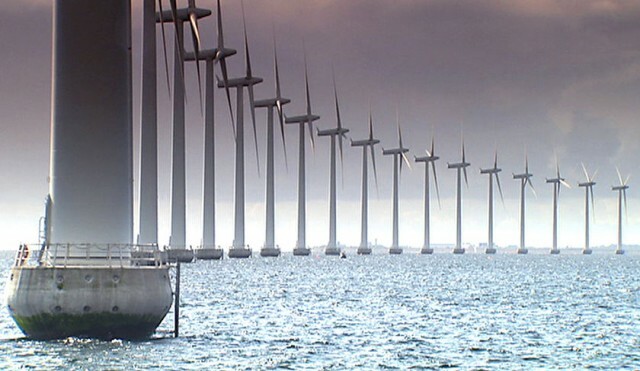 As The Guardian reports,Denmark found itself producing 116% of its national electricity needs from wind turbines, and by 3 AM the next morning (Friday), when electricity demand dropped, the figure had risen to 140%. 80% of the power surplus was shared equally between Germany and Norway, which can store it in hydropower systems for later use. Lucky Sweden received the remaining fifth of excess power. As you can see below, figures from the Danish transmission systems operator, emergent.dk,which provides a minute-by-minute account of renewable power in the nation grid, showed that Denmark’s wind farms weren’t even operating at their full 4.8GW capacity. According to the chief commercial officer of the Ecofys energy consultancy, Kees van der Leun, a surge in wind farm installations could allow Denmark to produce half of its electricity from renewable sources by 2020 – that’s only five years away. Not everyone is likely to be happy about this news, however. As the guardian shares, the British wind industry is likely to view the Danish achievement with envy. This is no doubt because David Cameron’s government announced a withdrawal of support for onshore wind farms from next year, and planning obstacles for onshore wind builds. “If we want to see this happening on a European scale, it is essential that we upgrade the continent’s aging grid infrastructure, ensure that countries open up borders, increase interconnection and trade electricity on a single market,” said Joy of the European Wind Energy Association. Around three-quarters of Denmark’s wind capacity presently comes from onshore wind farms, which have strong government backing. One thing is for sure, the country is definitely putting the rest of the world to shame with these figures.